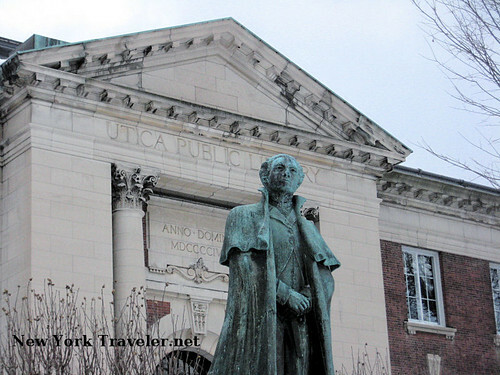 Snowstorm or no, we decided to brave the elements and drive to the small city of Utica today. It’s unbelievable that just two days ago temperatures were near 60 degrees F, with all our snow gone. And then today, 5 inches of wintry, cold snow and inclement weather. Driving into the city was sloppy and slow, but we hadn’t been out in so long, we didn’t care. I’m in the process of compiling the photos and data, but I saw these and just HAD to share them now. Such beauty, such design! 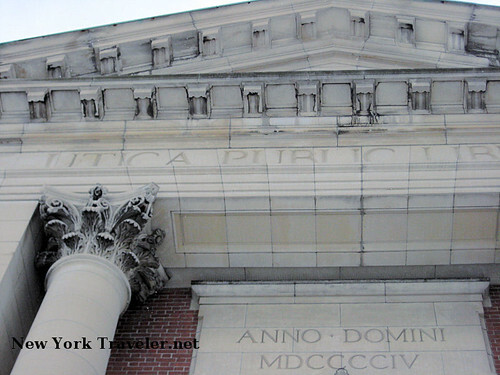 The Utica Public Library was built in 1904. 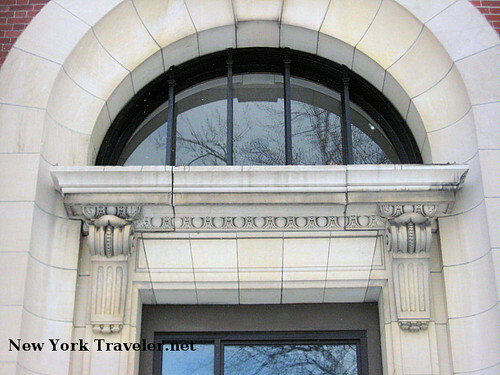 The elegance and beautiful architecture is stunning. That’s a statue of George Washington in the front yard. I’ll have much more about out visit, to come. 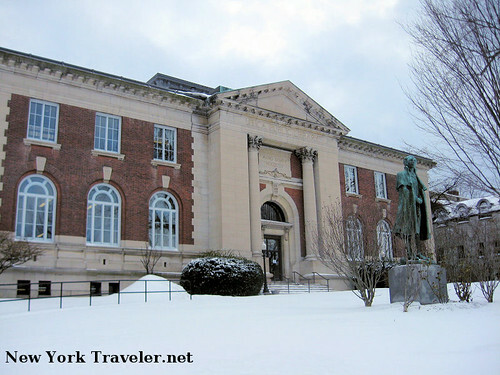 The Utica Library is my favorite library in the area– the collection of books and videos is very good, with many older volumes of books no longer in print anywhere else. We also visited the Stanley Performing Arts Theatre down the street. Stay tuned! On a sunny day in the spring of 1960, following a big parade, that statue of George Washington at the library was unveiled with a lot of fanfare . . . I was there with my 6th grade class from Washington School participating in the festivities. Every time I see that statue, I am reminded of the occasion, the seeming innocence of the day . . . and how so much has changed. May you be more charming, richer, healthier and the happiest this coming new year!! Greetings and cheers from sunny Singapore!